At first it seemed like I wasn't getting much accomplished. 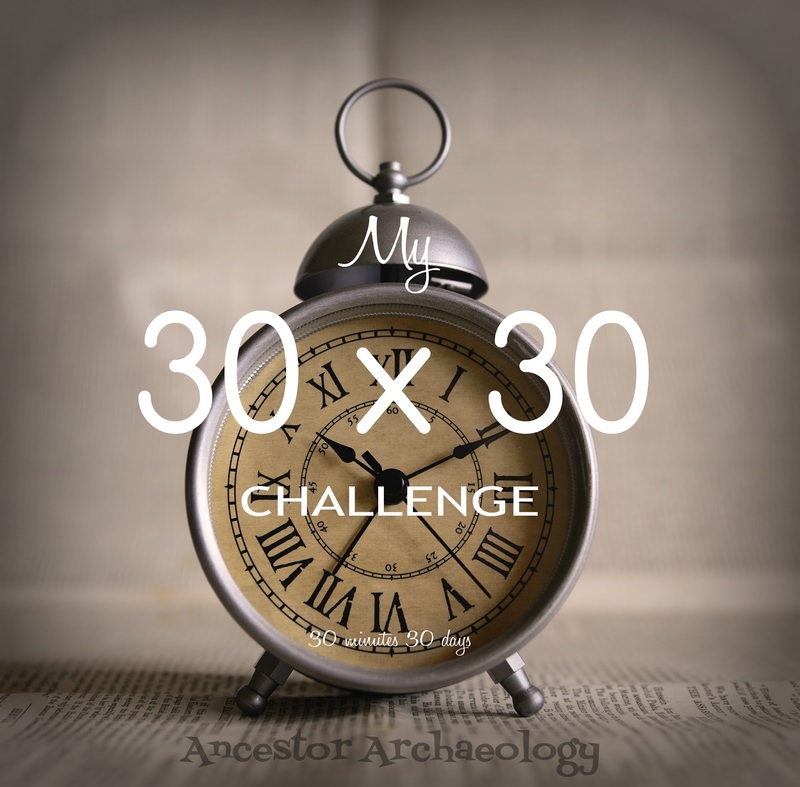 After all, what can you really get done in 30 minutes? A lot, it turns out! I had a bit of a set back over the weekend, as I decided to try to actually track down some documents. Which, of course, is NOT the point of this challenge. I blew almost a whole Saturday looking in vain for my grandmother's marriage records. I had to play catch-up Sunday and Monday to get back on track. Today I have 10 ancestors 'written up'. I have noted what I have, what I may have (looking will be later), and what I still need to find. Turns out I need a lot more that I originally realized. But, that was the point of this challenge, so a definite move in the correct direction! I am starting to feel more organized. More clear headed about my next steps. Oh! Thanks Jana! That's awesome!